1) Hormonal changes, which slow down normal digestion. This altered digestion often leads to many symptoms of indigestion: bloating, gas, constipation, and reflux (heartburn). 2) A growing uterus, which puts pressure on the stomach, diaphragm and esophagus, and causes internal organs to be a bit "rearranged" and shifted from their usual positions. For many women, this begins as early as later in the first trimester, when the uterus really begins to pop up and out. For others, the heartburn doesn't hit until sometime in third trimester, when a very bulging belly begins to really put the pressure on. ** Eat smaller meals. I have to admit, my tendency isn't to do this, because as long as I kept on eating the heartburn temporarily goes on hiatus. It returned within about 5 minutes of finishing, which made overeating a real temptation. However, when I do eat smaller meals and snacks, spaced well throughout the day, I often find that the heartburn doesn't hit as hard or last as long. ** Prop up with pillows. My chiropractor would disown me for putting this in print, although I'm pretty sure most heartburn sufferers end up going this route anyways. For my entire first trimester, up until about 2 weeks ago, I slept with double the usual pillows under my head. It didn't completely deal with the issue, but it did make falling asleep that much easier, as being upright helps to lessen heartburn at night. Know that it might throw your neck and back out somewhat (I eventually ended up with a string of bad headaches and a chiropractor's visit), but it was worthwhile during that short season. ** Avoid trigger foods. The main ones I know of are caffeine, coffee (even decaf- it's the acidity), black tea, tomato, and spicy foods. I also found that sugar and sweeteners exacerbated it, and sometimes so did citrus fruits and juice. I couldn't even drink my coffee alternatives (grain "coffees", like Teeccino and Inka), because they seemed to have the same effect. This was the first pregnancy that I was particularly vigilant and aware of this trigger, and I noticed a huge increase in heartburn each time I cheated with a food or drink that I knew might bring it on. I quickly learned my lesson! ** Digestive enzymes. This was a great discovery this pregnancy! 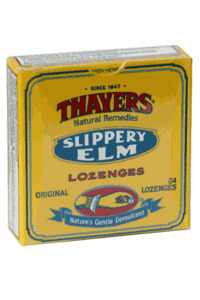 I went to the health food store in search of slippery elm lozenges (see below), and they were out, but in talking with a staff member there, I realized just how helpful digestive enzymes could be. If your heartburn is caused by the digestive disruption of early pregnancy, or because a crowded stomach is just not digesting food sufficiently, I would highly recommend giving these a try! Try to find one with a broad range of enzymes (for digesting protein, carbohydrates, fats, etc.) as well as with some HCL (hydrochloric acid). If you can't afford the more expensive ones, even a simple Papaya Enzyme will help somewhat and these can be found very cheaply even at grocery store pharmacies. Another inexpensive option is to drink some water with a bit of fresh lemon juice or apple cider vinegar, or a small glass of kombucha or kefir, before eating (the enzymes and good bacteria will assist in promoting better digestion). ** Avoid beverages with meals. It is best to avoid drinking anything at least 15 minutes before meals, and for at least 30 minutes after meals. The reason is that the hydrochloric acid in your stomach becomes watered down, and as a weaker acid, it is less able to do the hard work of digesting food fully and quickly. When food is not digested well or is allowed to sit and begin to ferment, indigestion results. ** Drink Ginger Tea. One of my favorite and most effective ways of dealing with indigestion/heartburn is by sipping on real ginger tea a little while after a meal. By real, I mean either fresh, grated ginger that has steeped in boiling water, or else a tea like Traditional Medicinal Organic Ginger Tea (which is just high quality dried ginger in a tea bag, essentially). This pregnancy, hot teas didn't sit so well with me, so sometimes I did better by cooling off my tea with ice before I drank it. ** Try foods that minimize acid. There are some foods that seem to help absorb excess acid and minimize gastric reflux. Here are a few that I know of: bread or crackers, popcorn (bread, crackers and popcorn should be eaten plain), milk, yogurt and raw almonds. I didn't find that these always worked, and sometimes one wouldn't work but another would. However, it is worth it to try out some different foods to see how they affect you, and then try to keep some of those things around the house, on your nighttable or in your purse. 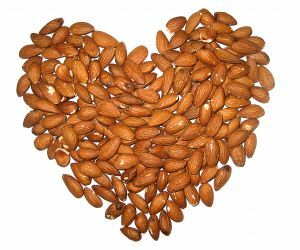 I know my husband finds plain popcorn extrememly helpful when he gets heartburn, and I find raw almonds and raw milk help a little bit, as do crackers sometimes. ** Get your water in when you can. I'm not sure how common this is, but I had a hard time staying hydrated through first trimester, because the heartburn would flare up again every time I took a few sips of water. It got to the point where I developed an aversion to drinking anything, leaving me chronically dehydrated, which resulted in other issues. I found the easiest time to get my drinking in was in the morning, when I first got up. Somehow my digestive system managed to calm down overnight, and those early hours were the easiest for getting in fluids. If you are struggling like this, try your best to find a time of day when you can consume extra liquids, to help make up for what you are lacking in the rest of the day. Other options for staying hydrated include eating fresh fruits and veggies when you snack (for their high water content), sucking on fruit juice popsicles, making smoothies for meals, or serving soups frequently. Are any other pregnant mamas out there struggling with this issue? How do you cope with heartburn during pregnancy? Share your strategies with us! Previous Post: « Who needs a menu plan when you’re searching for cloth training pants? Oy! I’m in the 34th week of my first pregnancy, and the heartburn has been the worst of my symptoms by far. My midwife suggested drinking a little baking soda and vinegar in water, which is completely disgusting (even after I substituted lemon juice for the vinegar), but it does seem to help some. Seems to promote more burping and less acid reflux. Drinking a small glass of kombucha with dinner has also been helping, I think. Lately I’ve taken to sleeping sitting up on our couch when it’s really bad. I’m certainly looking forward to this season of my life being over for a while! oh, this is by FAR the worst later pregnancy symptom i have. with my last baby (almost 11 pounds), i had it so bad that i would gag and throw up. ice cream works REALLY well for immediate relief. papaya enzymes also work, but i found that in very late pregnancy they were not effective for long. thankfully this pregnancy seems to not be as bad, said as i sit here suffering with heartburn after eating spaghetti. I feel for you ladies. Note eating or drinking milk products may make you feel better quickly but it is not good in the long run because the stomach has to work harder to process milk products and it churns more acid to do this, sorry…I know it is soothing going down. I was preg 21 years ago…but I remember everything because I developed a hyatial hernia (severe acid reflux now days). I had it so bad that I had to throw up every single night and even water made worse. I ended up having surgery for this several years after my daughters birth. So if you have this problem make sure you are truly speaking to your doctor about it and doing whatever possible to take care of yourself. My lead to severe anemia and it was awful. I used papaya enzymes! Also, the worst was when I drank right before bed, so I avoided that (especially water, weird!). My heartburn has come and gone this pregnancy–I’m 22 weeks along, currently. I think I’m going to focus on your suggestion for avoiding trigger foods and see what difference that makes. You can also take a bite of banana whenever you feel the acid burn. This works not only for pregnancy but for folks with acid reflux problems. It’s so much better than taking pharmaceuticals – no side effects. I just had my baby girl last monday. Both of my pregnancies I had wicked heartburn the entire 9 months. Nothing worked for me. I went thru bottles and bottles of Tums and even got to the point of getting a perscription for zantac from the DR…still nothing helped. IF…and that’s a big IF we go for a third in the future I’ll have to remember to try the enzymes. With my first pregnancy, my gall bladder went bad and had to be removed after and with this one, my bile ducts acted up and caused my liver to start to shut down. It’s amazing what pregnancy does to our bodies! These are all great tips. In addition, I used a fiber supplement to insure that I could go everyday. Being pregnant slows it all down and feeling full makes it hard to get all the fiber you need. My chiropractor suggested raising the foot of the bed with blocks of wood or bricks that way I was not propping myself on pillows. I slept like a baby and it helped my husband with snoring. I did this with both pregnancies. I’m using the HCl+Pepsin, and it is amazing to recognize the difference. I can totally tell if I forget to take it (ouch!). I use the “propping up with pillows” route, too. 🙂 I’ve found that eating lots of yogurt helps, too, as well as my pregnancy tea that has peppermint, nettle, & dandelion in it (among other herbs). Which brand of enzyme did the natural food sore recommend for you? Do you think there should be a difference between the kind one might take for pregnancy vs, say, reflux? i wanted to pass on another thing that i have learned trough my now 7 pregnancies–stay AWAY from baking soda and baking powder! every time i eat anything with those ingredients in it i can guarantee i will have volcanic heartburn. i totally disagree with milk’s not helping too, esp. raw dairy. the enzymes left intact *help* with digestion, not slow it down. Currently 33 weeks pregnant and have spent the entire pregnancy sleeping with 5 pillows! Not lying down flat really does help, especially at times when drinking, taking or eating something would disturb sleep even further. Agree with Michele that peppermint in some form seems to help, my midwife even suggested I get peppermint cordial to drink instead of resorting to indigestion medicines. Whilst the taste isn’t brilliant and it took some searching to find a brand with decent ingredients it did seem to work. I have tried the papaya enzymes for my heartburn and they help but don’t prevent it. My first pregnancy I had really bad heartburn and was fortunate to be put on Prevacid (that my insurance covered back then). I know medicine is not a natural way of relief, but I would take one little pill in the morning and my hb would be gone and it wouldn’t come back…it totally prevented it. Now 20 weeks into my third pregnancy I can’t seem to get relief. My insurance won’t cover the previously mentioned medication and Tums and papaya enzymes work, to neutralize the acid, but don’t prevent it all together. It doesn’t matter what I eat or drink I get the heartburn…I get after drinking water. I have come to just accept it as one of the side effects of pregnancy that I can’t get away from. I am not a good pregnant person and I hope who ever is reading this has better experiences being pregnant than I do. I wish you all the best. Thanks for the encouraging blog. A big chunk of information was not given us in biology class, it is called the predigestive stomach. When you eat a meal it will sit in your stomach for approximately 40 minutes to an hour letting the enzymes you ingested with your meal start the digestive process before any HC acid is added to the stomach. The question is did you eat anything that had enzymes in it. Cooked food has none neither does refined food. So that leaves raw vegetables they are loaded with enzymes. If you ate no raw vegetables with that meal there is a very good chance especially if you are pregnant that you will experience acid reflux. What you are experiencing is the acidic food causing the sensation not stomach acid. So the advice you gave is excellent but best answer is more raw produce with the meal. Celery is one of the best because it contains a natural form of sodium (not the one to fear) which is the stomach’s mineral to assist in digestion. It is also known as the youth mineral. Predigestion with lots of enzymes from raw vegetables can solve many health problems of weight gain and poor health. I, too, have a very hard time drinking water in early pregnancy. I always WANT to really drink the water when I’m brushing my teeth because it tastes so good, but I know I will pay for it. I have found some relief drinking a little apple cider vinegar with water after my meals. I’m currently 13 weeks in, and I have non-stop suffered from heart burn from day one! I’m not sure if I can get enzymes in the uk, but I’ll order them online if I have to! I really want to start enjoying this pregnancy, instead of feeling sorry for myself. I have a lot of trouble keeping food and water down, and noticed that takeout foods are a trigger, as well as dairy and sugary foods. Thank you soo much for this post! I am now pregnant with my second child and just like the first I have heartburn immediately! Last time I was on a couple different medications and would still wake up almost vomiting from the reflux even sleeping at an incline towered the end. Miserable and scary. I am hoping to do everything I can to manage it naturally this time! I love digestive enzymes but was afraid to take them during pregnancy so I’m so happy to hear they worked well for you. Thank you for this!! I’m in my 15th week of pregnancy and I’ve had some heartburn already. I’ve heard eating apples can help with it though. It seems counter-intutive, but I try to eat one a day and so far it’s seemed to help….we’ll see how it is when I’m further along. I have trouble drinking water too since it also causes me heartburn. THANK YOU THANK YOU THANK YOU, after weeks and weeks of suffering from Heart burn, someone suggested i try digestive Enzymes. I have tried all of the over the counter remedies and zantac, pariet and as a last resort was given Nexium which i was hesitant to take and led me to try digestive Enzymes, and alternately lead me to this site. i have now saved this site for future reference. Apple Cider Vinegar. That is the remedy. The reason for heart burn is counter to what we’ve been told: it is caused by too little stomach acid, which causes the swishing of what little acid we do have in there, opening up the stomach sphincter, and causing burning up the esophagus. The HCL + peptin solution is also good. But Apple Cider Vinegar works just as well. Take a tablespoon of it, and follow that with water. Or drink a cup of water with a tablespoon of ACV mixed into it before you eat. Also, I find (at 24 weeks pregnant) that heart burn ONLY occurs if I eat out. I think it has something to do with cooking oils. I only use butter to cook with at home, and I really never get it if I stick to a good, clean, home-cooked diet. It really is the most awful thing when it happens! I would to ask you about digestive enzymes. I normally take Garden of life enzymes (all natural vegetarian) to help digest fats and proteins properly , and I take 1 or 2 with every meal. So I am wondering if it ok to continue to take it during pregnancy, my obgyn dr was not helpful on this subject. She suggested to find papayan enzymes. I really love and know that my original one really works well for me, but don’t know if its totally safe several times at meal times. I would appreciate your advice! I just found out I am pregnant with #3. (Yay! ) Heartburn was awful with my first two, and is already present this time. I prided myself on powering through everything without meds during my pregnancies, but heartburn was my only exception. I’m hoping to do better the third time around. Has anyone tried hazelwood necklaces? I learned about them after my 2nd was born, and suggested them to a not-so-naturally-minded friend who had heartburn in her pregnancy. She said it really helped. I have ordered one…my hope is to try and manage between the hazelwood and papaya. I really don’t want to take meds this time!